Rain barrels are again available to Hamilton residents to purchase at a discounted price. 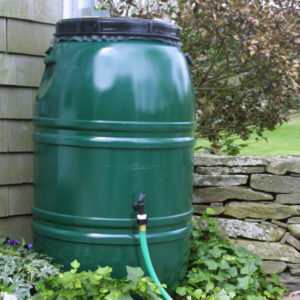 The benefits of rain barrels are many, including prevention of damage from storm water runoff and avoidance of water charges. Rain water is a free, healthy alternative to tap water that is organic, has no chlorine, no fluoride and no chemicals. It is an excellent water source for plants, gardens, lawns and any non-potable use. Regular use of a rain barrel can pay for itself in one season. One tenth of an inch of rain on a 1,000 square foot roof – about 25 minutes of moderate rainfall – will fill a 60-gallon rain barrel. Hamilton typically receives 17 inches of rain during the growing season from May through September. This provides enough water to fill 170 rain barrels. At 2 cents a gallon, homeowners can expect to collect $204 worth of water. Residents with a rain barrel can also avoid restrictions on nonessential outdoor water use – a water ban is imposed every summer – because there is no restriction on rainwater use. 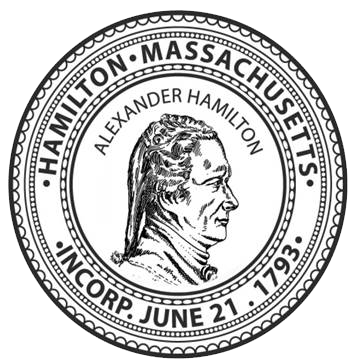 Hamilton has chosen to work with the Great American Rain Barrel Co., a local food importing company that has been repurposing shipping drums into rain barrels since 1988. Barrels are being offer to residents for $69 – 40% off the retail price – and will be available for pick up on Saturday, May 18 from 8 a.m. to 12 noon at the Hamilton DPW, 577 Bay Road, (behind Town Hall). The deadline for purchase is May 12 at midnight. Available colors are Forest Green, Earth Brown, Nantucket Grey and unpainted. Rain barrels can also be linked together with just an easy, five minute setup. To participate in the Rain Barrel Program and find out more about the barrels, please visit: https://www.greatamericanrainbarrel.com/community/ and select Hamilton or call 800-251-2352.